I have no specific comments on optical characteristics yet, as that is going to take some care to evaluate now that every camera uses correction to correct a number of possible problems, as do most raw converters. First examination didn’t reveal any surprises in this respect, though; as far as wide angle lenses go, this one is quite good. I’ll have much more to say in a review. The supplied petal lens hood bayonets onto the lens and can be reversed on the lens for transport, though it makes the front of the lens even wider when you do that. The front pinch cap has such wide pinch points that you can’t miss them, as you can on some lenses. Thank you Fujifilm. I should point out that those evaluating other systems versus the Fujifilm system should pay attention to weight. Most of the Fujifilm lenses are built tank-tough, which means that, in addition to the bigger glass needed to cover an APS sensor compared to smaller sensors, the lenses do tend to become a bit on the weighty side. 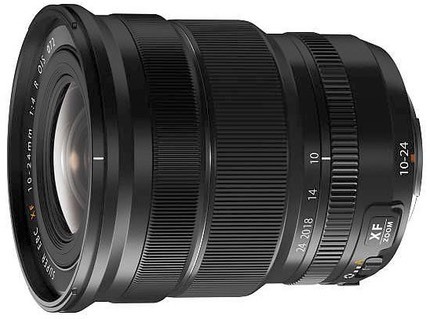 The Fujifilm 10-24mm is 33% heavier than the Panasonic 7-14mm for m4/3, for example. A lot of folk are getting hung up only on camera weights. It really is the full system weight you’re carrying where you’ll find tangible differences. 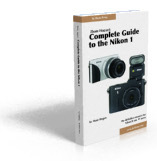 Carry a camera and four lenses and some accessories, and the differences between Nikon 1, m4/3, Fujifilm X, and DSLRs start to become more pronounced. For US$1000 you expect a good lens. In terms of build and handling, the 10-24mm certainly seems up to the level I expected, except for that aperture ring function I don’t like. I hope the optics live up to the same high standard the rest of the lens sets.